Chapter 18. Gout and Heart Disease: A Two-Way Street? 6. Association Between Osteoarthritis and Cardiovascular Diseases: an Epiphenomenon? 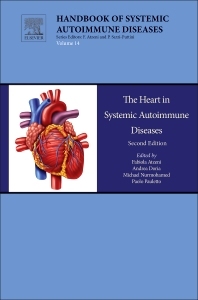 The Heart in Systemic Autoimmune Diseases, Second Edition, provides an overview on our current understanding of major complications relating to the heart and autoimmune diseases. It includes the latest information on the new pathogenetic mechanisms involved, along with clinical manifestations of these important comortbidities. Mortality in autoimmune diseases, in particular, rheumatoid arthritis and SLE, has increased when compared with the general population. This excess mortality is largely due to cardiovascular diseases (CVDs)-particularly those of atherosclerotic origin, such as ischemic heart disease-and is gaining recognition in all branches of medicine, from cardiology, to internal medicine, and from rheumatologists to orthopedics. 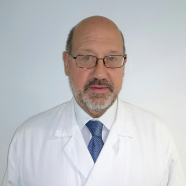 Professor Doria received his medical degree and qualification in Rheumatology from the University of Padua. He was Council member of Italian College of Rheumatology (CRO) between 1999 and 2005 and a Council member of Italian Society of Rheumatology (SIR) from 2007 to 2010 and from 2013 up to now. He is also a member of American College of Rheumatology (ACR). Professor Doria has organised over ten international conferences on autoimmunity and was involved as “expert” in the EUropean League Against Rheumatism (EULAR) Standing Committee for the development of clinical and therapeutic recommendations: (1) EULAR recommendations for the management of systemic lupus erythematosus (SLE)—Assessment of the SLE patient (2008–2009); (2) EULAR recommendations for the management of SLE Part II—Neuropsychiatric disease (2008–2009); (3) Joint EULAR and European Renal Association-European Dialysis and Transplant Association (EULAR/ERA-EDTA) recommendations for the management of adult and paediatric lupus nephritis (2012). Professor Doria is a member of the Lupus Academy Steering Committee co-Chaired the 4th Annual Meeting held in Rome 27th February to 1st March 2015. He will also chair the 10th European Lupus Meeting which will be held in Venice (Italy) 5–8 October 2016. Professor Doria is on the Editorial Boards of several rheumatology and immunology journals, including Lupus, Autoimmunity, Clinical and Experimental Rheumatology, Autoimmunity Reviews, Journal of Autoimmunity, Experimental Biology and Medicine, Rheumatology Reports, Journal Autoimmunity Highlights and Reumatismo (the official journal of Italian Society of Rheumatology). He has authored over 250 ISI publications on SLE and other connective tissue diseases. These include clinical studies describing new manifestations or subgroup of autoimmune disorders, prognostic risk factors, diagnostic tests and therapeutic interventions as well as immunochemical studies that evaluate autoantibodies, epitopes and complementary epitopes of autoantigens. In addition, he has authored and co-authored three books, over 90 book chapters and conference proceedings, and over 500 abstracts to national and international conferences. Professor Doria has a long-standing experience in clinical management of connective tissue disease patients. The Unit in which he works is a 3rd referral rheumatology centre, within Italy, for the diagnosis and management of patients affected with systemic connective diseases. In addition, he has expertise in the management and follow-up of pregnant patients with systemic rheumatic diseases. Professor Doria has also trained over 30 students in Rheumatology. Michael Nurmohamed is Rheumatologist and professor of Rheumatology at the VU University Medical Center, Amsterdam, The Netherlands. His chair has a focus on cardiovascular comorbidities in rheumatic diseases/vascular rheumatology. Furthermore, he is the Head of Rheumatology Research Dept. of Reade where he also works as Rheumatologist and Clinical Research Scientist since 2000. Dr. Nurmohamed has (co)authored over 200 publications in peer-reviewed journals and several book chapters, is a regular reviewer for several international journals and an editorial board member of Annals of Rheumatic Diseases , Arthritis Research Therapy, Journal of Rheumatology and PlosOne. He serves on several (international) boards of cardiovascular scientific societies.